Join the new revolution of interactivity in the classroom. If you are one of the 60% of schools in the UK who currently use a SMART board for teaching and learning and are getting frustrated with projector lamps failing, writing issues on the board, constantly closing blinds and turning lights off due to poor screen image and even costs of replacing pens, then you seriously need to discover a more cost effective and simpler solution for your school. 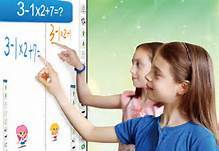 We believe the iBoardTouch is that solution and compared with a traditional whiteboard and projector setup there are many advantages. WATCH VIDEO BELOW: If you are hooked already and want to see a demonstration of the iBoardTouch, please click on the picture below. 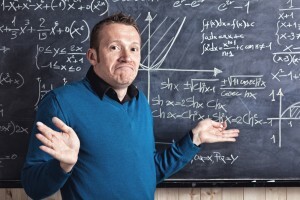 Is it time you replaced your old teaching methods with new technology? Educations systems across the globe are recognizing that teaching methods need to be adapted to appeal to children of the digital age. Interactive whiteboards are already becoming commonplace in classrooms and as education authorities develop new teaching architecture and introduce new curricula there is a growing need for teachers to adapt traditional teaching methods and integrate them with new technology. Studies have found that students respond better to visual images and perform better when they are actively in involved in the learning process. Gone are the days when lectures and overhead projectors can be classed as effective teaching. As passive parties in a classroom structure, the majority of students are not able to take on-board the information and make effective notes they can refer to at a later date. The use of interactive whiteboards means that children do not have to pay attention and process your words into their own thought in order to make notes; they can visually see illustration on screen which allows a child�s brain to process and understand quicker and with much more clarity than words alone. You can also transfer the data from the whiteboard to multiple devices such as a tablet, another device that is becoming increasingly popular in classrooms and with school children. The devices allow students to interact with one another, make notes, add data and save it all to the hard drive or temporary file. So, having decided to move into the digital era, which product do you choose? Traditionally, schools began using an interactive whiteboard with projector that was linked to a PC. While these are a huge benefit to the teaching and learning in classrooms, they do have their drawbacks; expensive replacement of bulbs in the projector, losing the pens, shadow from the user, glare on the screen from outside daylight etc. At POINT Systems, we believe that a new dawn of LED interactivity is on the horizon. But as always there are a large number of interactive LED solutions available for schools from several manufacturers. But which is the best interactive resource for schools? POINT Systems have been researching this area for many months and in our expert opinion we believe that the iBoardTouch is currently the best on the market for schools. Below are the key advantages of purchasing an iBoardTouch compared with a more traditional whiteboard and projector. Longevity of hardware � Interactive LED�s are expected to have a long life � usually up to 50,000 hours. This will mean your board will still be up and running over 15 years down the line. Multi touch � how many touch points do you need now and how many might you want in the future? Windows 7 & 8 have a range of gestures only accessible when you use 4 or 6 points of touch. We recommend 6 points of touch as a minimum if you can stretch your budget. Anti-Glare � the screen does not attract glare and provides a smooth, easy to use touch and writing surface. Cheaper ownership � no maintenance costs, cheaper installation, and much more energy efficient so lower electricity costs. Extremely robust � these screens are very hardwearing. They will not scratch, dent or chip. They can be used in sports halls and drama rooms. Usability � the software which comes with the iBoard is compatible with SMART software, enabling a smooth transition for the teacher and children. There is also no lag when writing and calibration is not needed to use this product. The TES have also launched hundreds of free resources to use on the iBoard. There is also a range of ways to install this product in your classroom. It can simply be placed on the wall replacing your existing whiteboard or it can be placed on a moveable bracket allowing small children or users in wheelchairs to also access the screen. When the children are finished it can simply be raised to allow the teacher to work on the board and the rest of the class will have a clear view. The iBoardTouch can also be installed on a wheeled stand allowing the board to be moved around the classroom or even the school. Another clever way to install the iBoardTouch is by placing it on a motorized stand which can be rotated to bring the board from a vertical position into a horizontal one. This has many benefits for group work and collaboration.